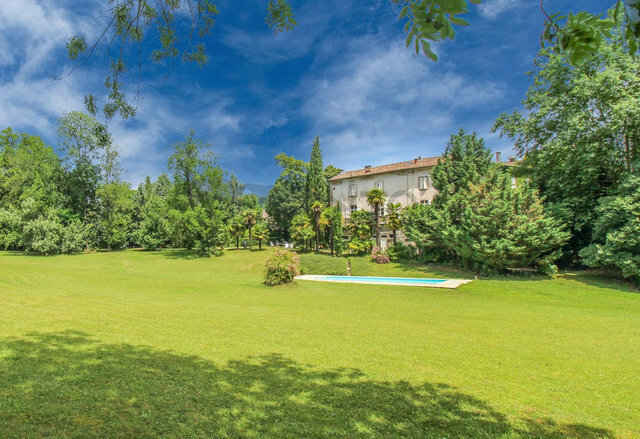 GARD ARDECHE 07460 BANNE, For sale, 19th century castle edified on very beautiful wooded park landscaped 40 000 sq m with swimming pool. Remains with two wings hosting with reception rooms, private apartments, many bedrooms and bathrooms, a shower room and toilets .Magnifique embellished glass patio with tropical plants. Ideal rental, weddings, receptions and garden parties. Guaranteed charm. heart stroke ensures!